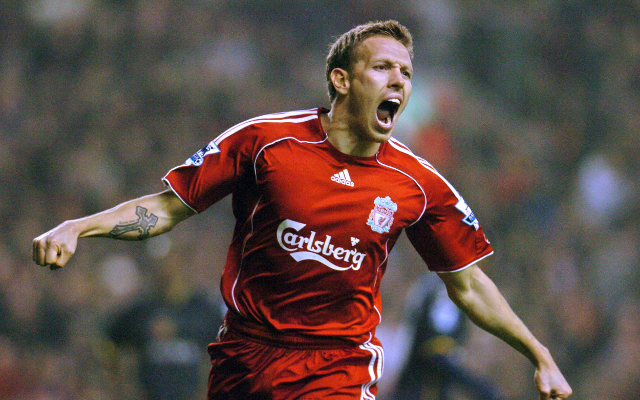 Former Liverpool striker Craig Bellamy is believed to be one of the early frontrunners to replace Gary Neville as a pundit on Sky Sports, according to the Daily Mail. Neville left his post with the broadcast giants last week to sign a six-month deal to take over the reigns with Spanish giants Valencia, and though there has been no replacement for the ex-Manchester United star confirmed, it is believed that Bellamy is one of the favourites to do so. The former Wales international is said to be ‘thrilled’ at the prospect of taking on the role, though Sky are keeping their final decision about who lines up alongside Jamie Carragher for Monday night’s clash between Everton and Crystal Palace under wraps. “Bellamy would have a lot to say,” one insider said. “He could very entertaining and spiky. “It would be a change for Sky, who had two “one-club” men before. When you look at Gary Neville, you think Manchester United and it’s the same with Jamie Carragher and Liverpool. Having featured for the likes of Norwich, Coventry, Newcastle, Celtic, Blackburn, Liverpool, West Ham, Manchester City and Cardiff, during a productive and colourful career, he would certainly have a lot to offer. Always outspoken and honest, the 36-year-old could prove good value for money in terms of entertainment, though there could be fireworks if he is placed alongside former boss Graeme Souness.